The Minister of Planning, Dr. Nouri Sabah al-Dulaimi, received at the Ministry's Cabinet on Wednesday in separate meetings of delegations from Anbar province, including a number of local officials and dignitaries. The Minister of Planning, during his meeting with the delegation of the Municipality of Amriya Al-Samoud, introduced a statistics department attached to the Central Statistical Organization, after the population exceeded 100,000 people, pointing out that this department will contribute to strengthening the economic file of the judiciary and drawing and defining sustainable paths for development. Dr. Nouri al-Dulaimi, during the meeting, which included the judges of the judiciary, Shaker al-Issawi, the chairman of the council Mahdi al-Issawi, a number of members of the council, and the judges of the judiciary, the sacrifices and efforts made by the district of Ameriyya al-Samoud. In a separate meeting, the minister also received a delegation from the district of Khaldiya, including the Chief Justice of the Judiciary Dr. Ali Dawood, the President of the Council Thaer Al-Hilu and a number of the members of the Council, during which he discussed investment and services and local and international efforts to restore stability in the district of Khalidiyah. 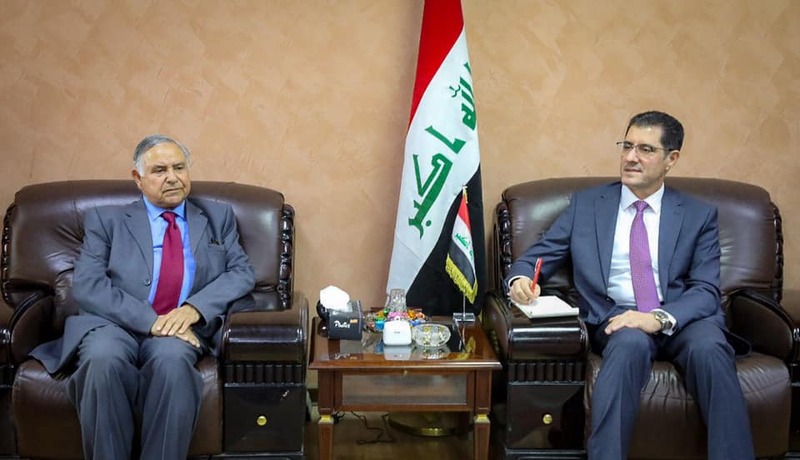 During the two meetings, they discussed simplifying the investment environment in the province and the local and international efforts necessary to move the economy and industrial wheels in Anbar province.